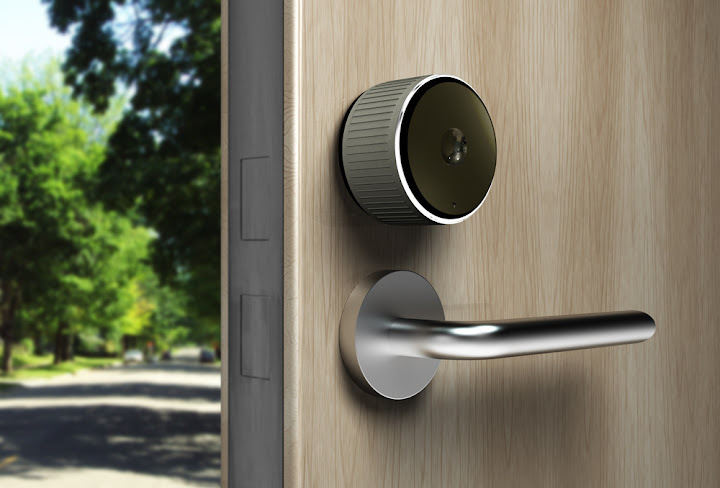 Smart Doorlock. No more keys. Just use your smartphone. No more keys. Use your smartphone to unlock and lock the front door! 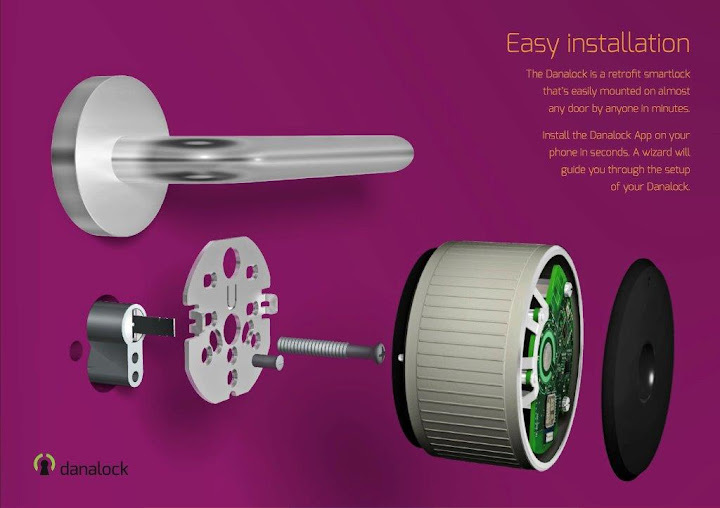 The Danalock is a retrofit smartlock that’s easily mounted on almost any door by anyone in minutes. Install the Danalock App on your phone in seconds. A wizard then guides you through the calibration and setup of your Danalock. Lock and unlock with the userbutton, the TwistAssist function or using your smartphone. And with auto unlock you simply unlock when you approach your home and lock automatically right after you entered. The Danalock has an average battery lifetime up to one year, and needs no external powersource. Be ware that using some Z-Wave Gateways may cause shorter battery lifetime. The battery status is easily wiewed in the App. When battery life hits 30, 20, 15 and 10 percent a notification is sent by SMS and email with links to the web-shop. Danalock combines the elegance and minimalism of Scandinavian design - with a bezel in massive anodized aluminum and cutting-edge Bluetooth and Z-Wave technology. Discreet danish design build to last.